Gleim has a nice variety of additional books and study materials available at their website. You may find it a nice addition to your library of materials to purchase books such as Aviation Weather and Weather Services or sign up for one of Gleim's online courses. For pilots wanting to enhance their experience with an IFR rating, complex endorsement or simply learn their new GPS, please speak with one of our instructors for required study and reading materials. 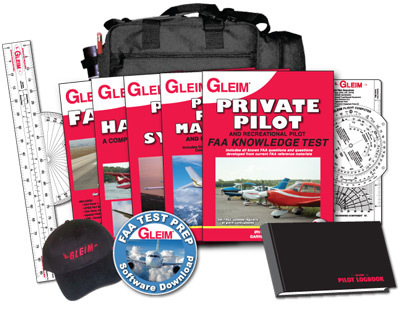 At About Time Aviation, we use textbooks and study guides published by Gleim for ground school. Packed full of information, including all the questions to the written test and full explanations of the correct answers, these books are an invaluable part of your learning experience.